Today i took the trip up to bluepower in the xr6, fg intake manifold bolted on ready for a retune wasnt quite sure how successful this manifold would really work... As ussual chris dropped me off to the mall, watched the new batman movie, ran circles around the centre looking like a noob but eventually i get the call with fantastic news. Keep in mind that previous tune was done with 3.45's (now 4.11's) with a catback exhaust change from xr6t to gt system (same size as far as i know) of 160.2rwkw. 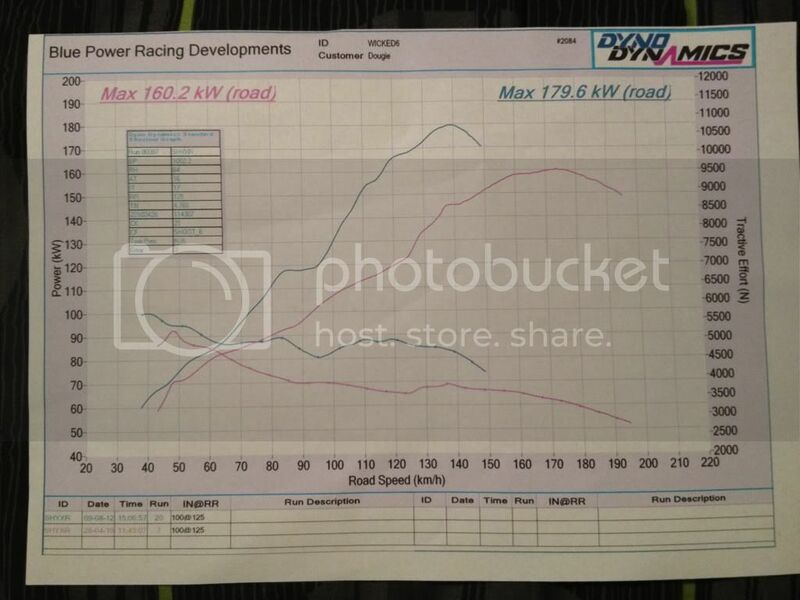 So off to bluepower we go, checked the dyno readings. First run before tune lands a 168rwkw WITH the fg manifold, but after 2hrs of "magic" chris managed a final reading of 179.6rwkw!!! A really surprising result, still amazed right now. Goes to show ford did a great job with this manifold. I havent been able to give her a good run as the roads are just way too *moist* give her some throttle just wheelspins, hopefully tomorrow will be a better day. But 1 thing i have noticed is the midrange feels very strong over the ba bbm. Theres still improvement to be made, may need to experiment with the manifold actuator to try remove that "dip" from change of plenum volume. Will be an interesting task. Thanks again Chris! Im sure to be back sometime soon. Re: Fg na6 inlet mani on bseries... No worries! I can't wait to see how far the FG manifold will go, especially with some more N/A mods! What's the next step in the build Ash? Great work young fella, we are blown away by your handywork, it you who needs a pat on the back, not us. The Quickest, The Fastest, The Baddest Boss Blower of all. Will be doing this to mine very shortly!! so does the fg throttle body work if wired up??? Thanks for the info, is there any way to reduce the size or duration of the dip in the curve? 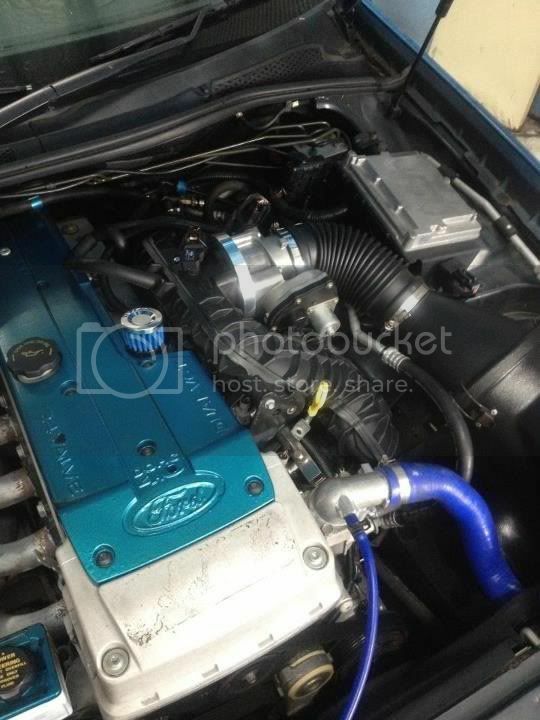 Quick question have done a fg intake onto a mates bf falcon with fg throttle body and injectors starts and runs just very rough, was just wondering if anyone else has done it this way with no issue or am I meant to use a bf injector with spacers on the rail. Injector scalings are wrong, will be most likely corrected in your tune.